On a normal day, keeping your orchid healthy is easy! Water it with three ice cubes once per week, keep it in a room with the optimal temperature and plenty of indirect light, and check its roots, leaves and blooms for pests and disease. As the seasons change, however, keeping your orchid healthy may require more vigilance because changes in temperature and air quality can affect the health of your plant. 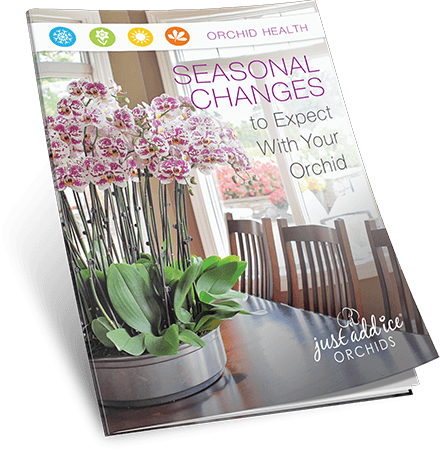 When you download this guide, you’ll learn how to best care for your orchid in every season. Fill out the form now to download!